National Award-winning director P T Kunhi Mohammed's Veeraputhran, based on the life of legendary freedom fighter, writer, and orator, Mohammed Abdu Rahman Sahib, reached the cinemas last week. Kunhi Mohammed has made films such as Magrib, Garshome and Paradesi, which were well received. 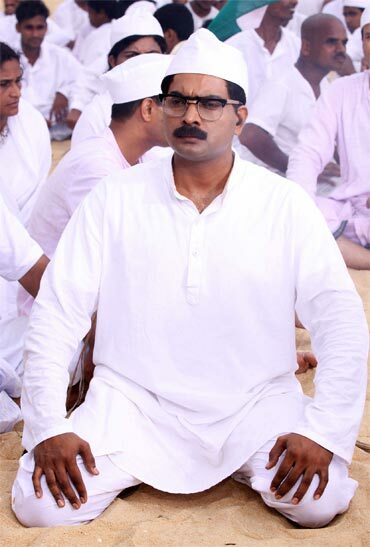 He has acted in Pavithran's Uppu and has also been a member of the Kerala Legislative Assembly. He is popular as the anchor of the show, Pravasalokam on Kairali TV. Why did you decide to make a film based on the life of Mohammed Abdu Rahman Sahib? Mohammed Abdu Rahman Sahib has the kind of persona that can be approached by an artist. I thought that even in the current scenario, the politics of those days is significant. I also wanted to remind viewers about the struggles of those times. Do you feel that the honesty and the pain that leaders in those days went through are not fully realised by today's generation? Yes, I do feel so. We should know the details about the sacrifices made by these legendary figures. It is when we know about it that our knowledge gets more focused and meaningful. Why is it that we tend to ignore the sacrifices made by our leaders in the past? It is because of the system and the style of education that we follow. Our education system is essentially based on the colonial system. It hasn't changed much over the years. The pattern resembles that of the erstwhile slavery system in a certain way. We have to learn more about our own struggles. It is really important for future generations. But, sadly, not much thought is given to these aspects. One of the main challenges while making a biopic could be that it can turn out to be more of a documentary than a feature film. How did you mould your film? The life of Mohammed Abdu Rahman Sahib was a highly dramatic one and that made the difference. In fact, that was why I selected his story to be made into a film. I feel that such a dramatic life can make an interesting feature film. Pandit Nehru's or EMS (Namboodiripad)'s lives would be difficult to make into films. 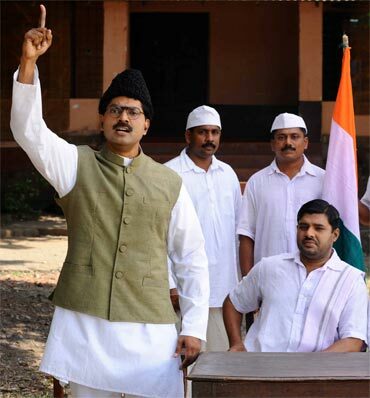 But Gandhiji's life has the dramatic moments that make it attractive for a film adaptation. What is the relevance of Mohammed Abdu Rahman Sahib now? He had said that he will continue on the right path even if he loses a thousand elections. Who else will say so, especially during these times? You had originally chosen Prithviraj to play the role which was eventually done by Narain. Yes, I had matched pictures of him with Mohammed Abdu Rahman Sahib and I waited for him for a while. When it wasn't happening, Narain was cast instead. I believe that Prithviraj did not lose anything by not doing my film and I didn't lose anything either by not casting him. Narain has gone on record explaining how he had prepared for the role. How was it working with him? Narain had a rather emotional time doing the role. He was really involved in the making of the film. There have been some controversies regarding the contents of the film. How do you respond to them? I have mentioned at the beginning of the film that it is not a straightforward adaptation of the life of Mohammed Abdu Rahman Sahib, but a fictionalised account. I believe there is no chance for any controversy as a result. You have to understand this: history is history and cinema is cinema. Also, history is not approached in a single way alone. There are several ways to approach history. When people credit the discovery of America to Columbus, there are many who accuse Columbus of destroying America. So opinions can differ. His death has always been controversial. I have not mentioned anything about it. 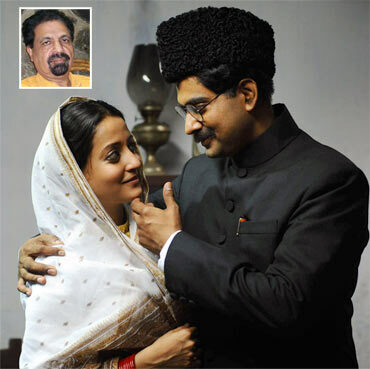 Those who watched the film had mixed reactions to the scenes involving Sarath Kumar as a professor initiating research on Mohammed Abdu Rahman Sahib. What is your response to it? I think it has only helped to focus on the narrative. Has your opinion about Mohammed Abdu Rahman Sahib changed since you started learning about him to make the film? My respect and admiration for him has gone up even further. I have been getting really good responses from those who have seen it. I have been told that history has been created in Malayalam films with Veeraputhran.